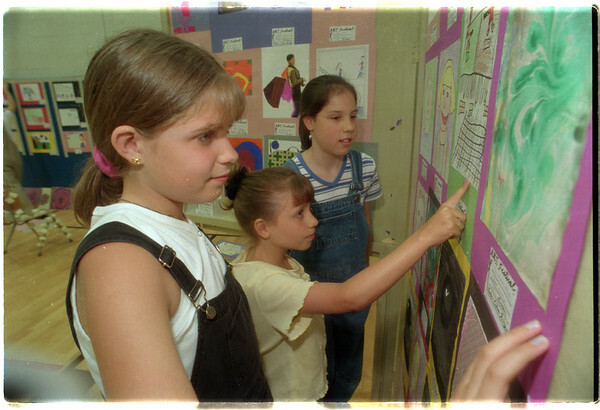 98/06/02 Art Appreciation 2 - James Neiss Photo - Students at the Charles Upson Elementary school are holding an Art Show on June 4th at 7pm. Students Top to Bottom, Cristi evert 10yrs, Felicia Benedict 10yrs and Elizabeth Podgers 11yrs, helped set up the show. All three are in 5th grade.